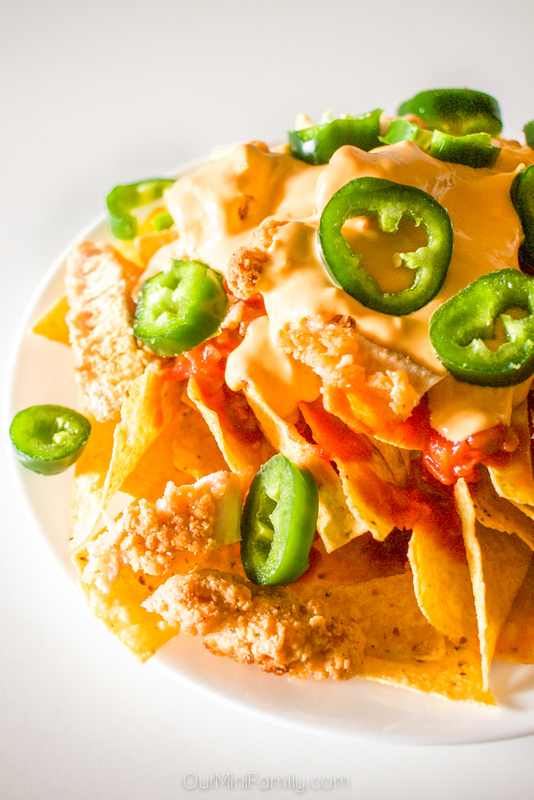 Enjoy this pile of tortilla chips loaded with salsa, queso, jalapeño, and breaded chicken! This game day approved recipe will have you ready for the big games this March. 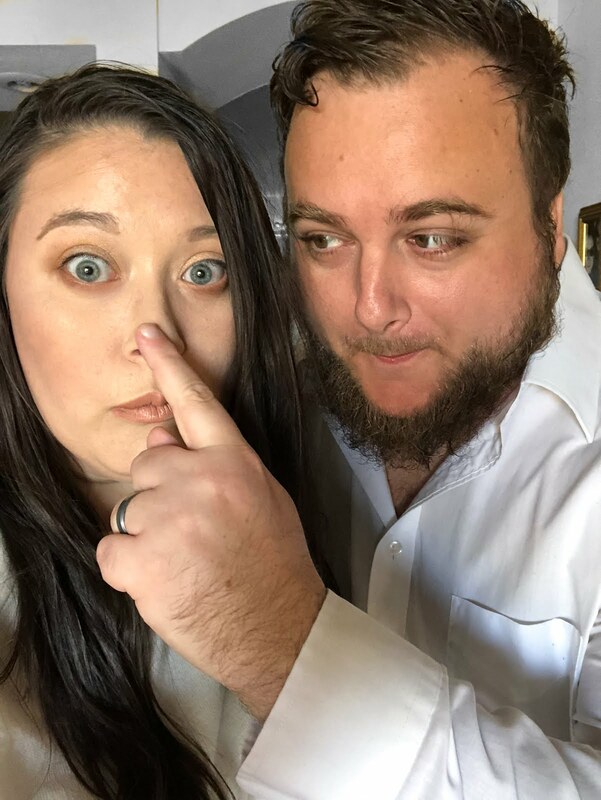 Thank you to Foster Farms for sponsoring this post. 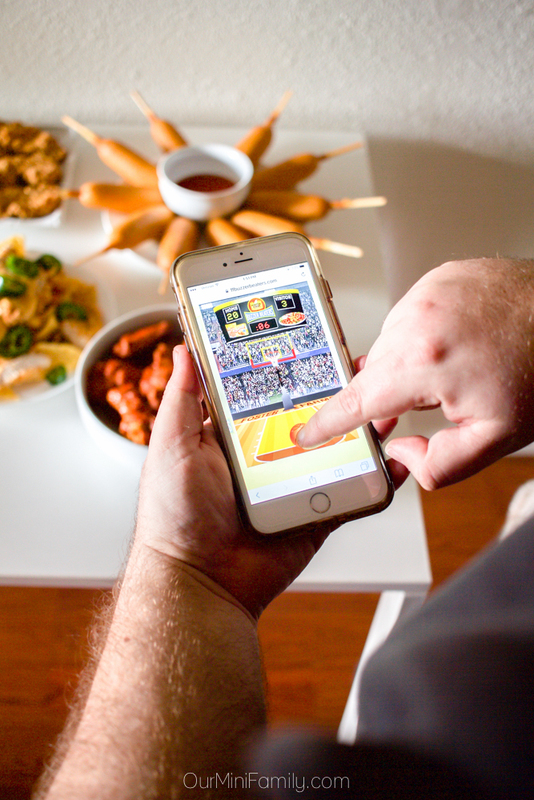 This March, we'll be enjoying delicious game day snacks while we watch basketball and root for our Arizona team! Last year, Arizona State University basketball didn't do quite as well as we had hoped, and it looks like this year we may be in the same boat but we will be enjoying watching the games regardless if ASU does well or not. Because at the end of the day, win or lose, we'll still have game day snacks! There's no denying one of the best parts of game day is the food! Whether it's for football or basketball, we can get behind some friendly competition if it involves something cheesy, packed with heat, and tastes like a winning combination of flavor. Make game time snacking a slam dunk with these game day chicken nachos that pack just enough heat! 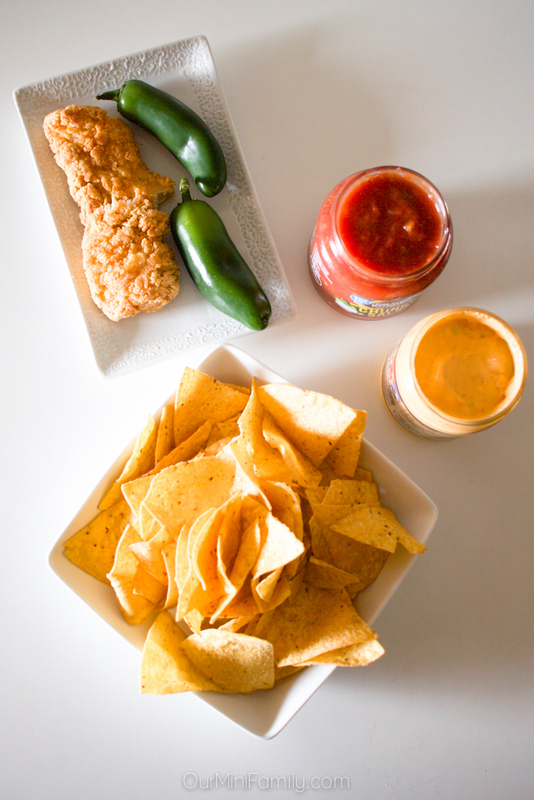 Made with spicy queso cheese, salsa, jalapeños, tortilla chips and Foster Farms Crispy Strips of chicken, this easy and delicious nacho recipe is layered with flavor and a great way to bring your snack game up a notch this March for game day! 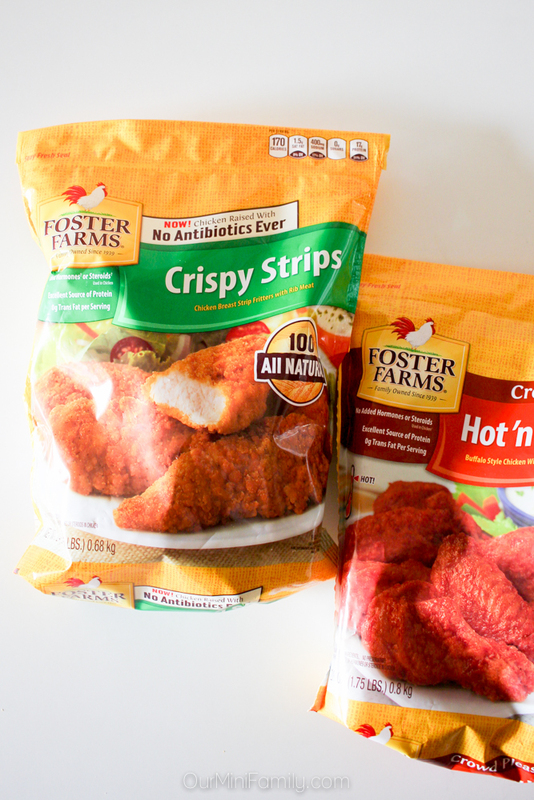 Preheat the oven to 400 degrees (F) and bake the Foster Farms Crispy Strips as directed. Once the chicken is cooked, allow it to cool to the touch and then slice it into small, bite-sized pieces. Slice the jalapeño into small pieces, and remove the seeds. Lay the tortilla chips on a large plate, and then top them with salsa. Then add in the chicken and pour the queso over the top. Finally, toss the jalepeños on top. 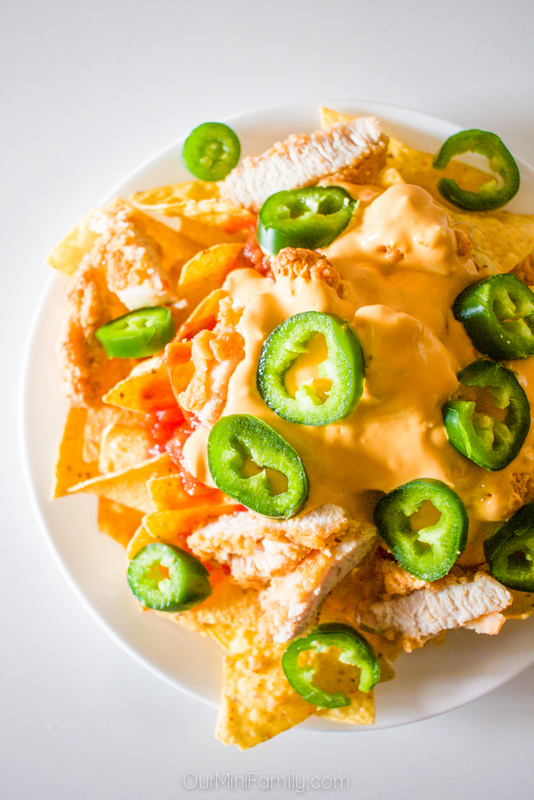 These game day chicken nachos are a great snack for game day along with some of our other favorites like chili, mozzarella sticks, and Foster Farms snacks you can find in the freezer aisles at the grocery store. 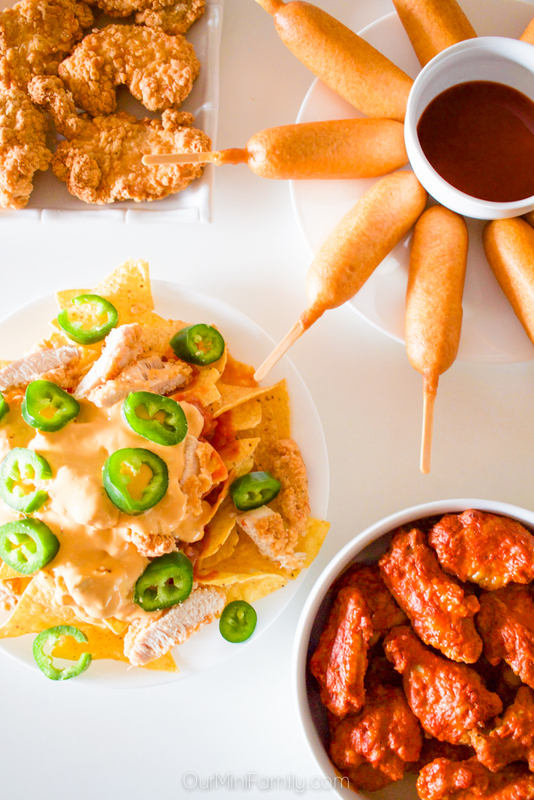 Right now, our favorite game day chicken is the Foster Farms Crispy Strips since they are so versatile--we make other easy and delicious game day recipes with them, and we also eat them by themselves and drizzled in hot sauce and ranch. 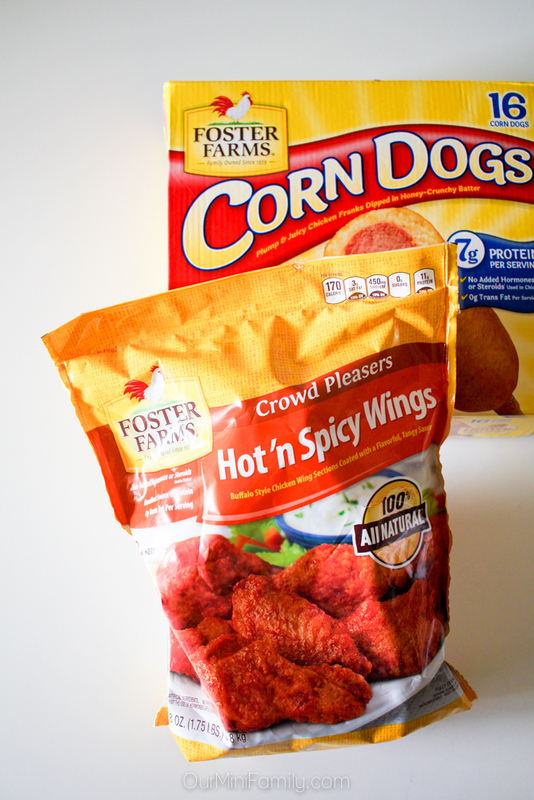 We also stock up on other snacks like Foster Farms Hot n Spicy Wings, Foster Farms Breast Nuggets, and Foster Farms Corn Dogs. No matter how well our team does, we always enjoy game day when there are delicious snacks on the table! For a limited time, you can join us and play the Foster Farms Buzzer Beaters game online! If you visit https://ffbuzzerbeaters.com you can play on your desktop and most mobile devices for a limited time while all of the big basketball games are going down through the month of March. 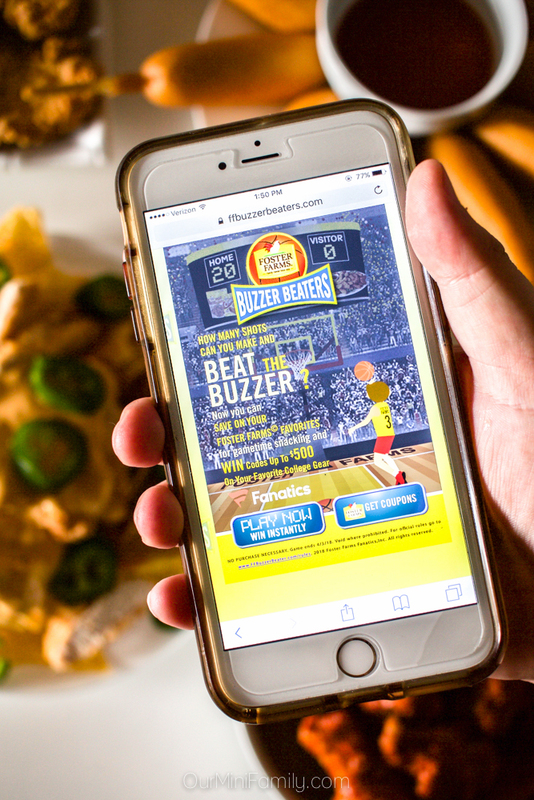 On the Foster Farms Buzzer Beaters game, you can play to win coupons for your favorite Foster Farms game day appetizers and have a chance to win codes up to $500 on your favorite college gear! Play to win some great prizes and see how many baskets you can sink in this online basketball game--learn more about the rules of their giveaway on their website here, and you can play the game here! 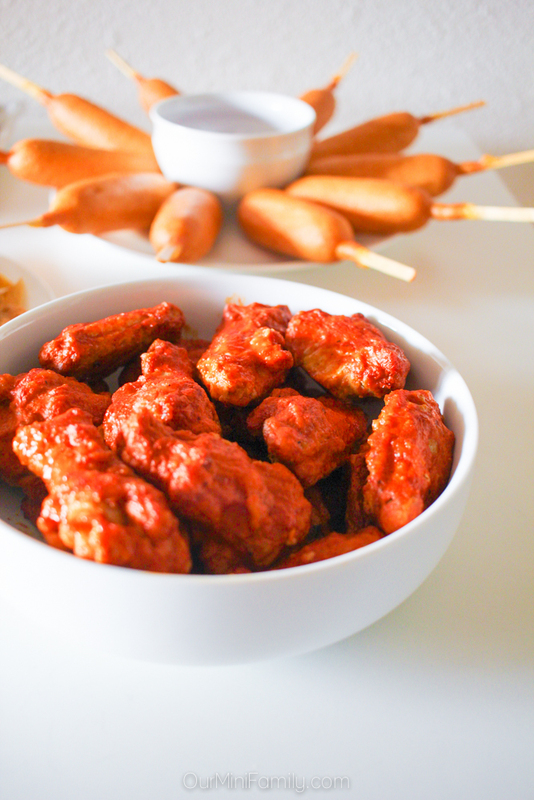 Don't forget to save these game day ideas on Pinterest and Facebook! Click here to play the Foster Farms Buzzer Beaters game and find out what your best score is! These look delicious! I'll have to give them a try. YUM! 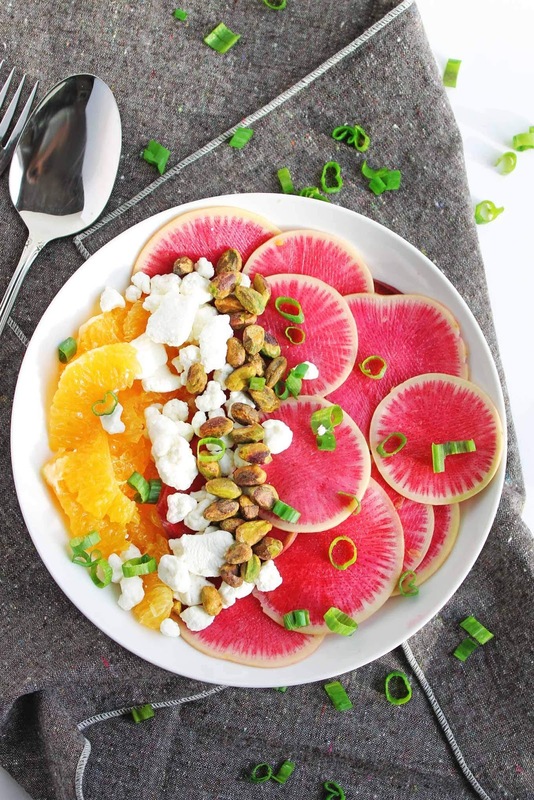 I love me some nachos - definitely saving this recipe! 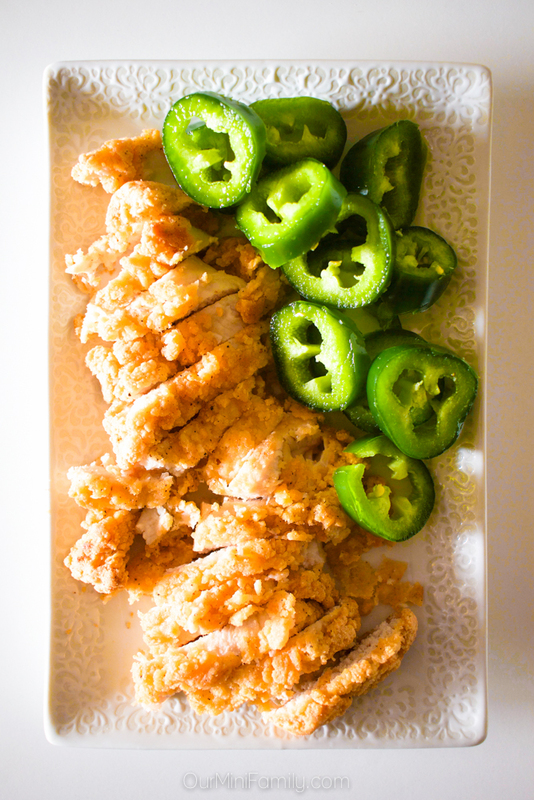 When I think of making nachos, I think of shredded chicken or beef, but you've opened my eyes to the idea of crispy chicken and I'm excited! It sounds delicious! Oh my do those look good!! I've never seen crispy chicken on nachos before.....and now I think I might have to try it! Thanks! Cheers! these nachos look so delicious! 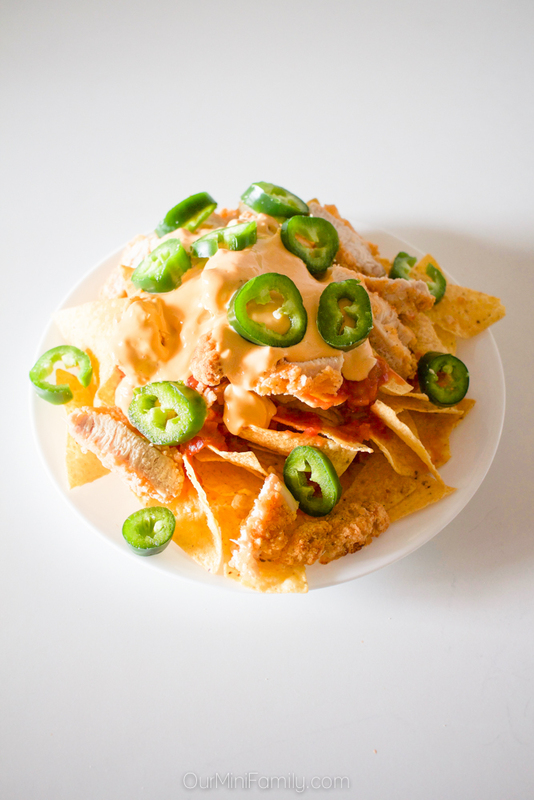 I love a good nacho recipe, especially for game days. going to try these next time! Nachos are my fave especially on game day. These look so good. You had my number at the word "nachos." These look super tasty and simple to make! Looks so good!! I am a nacho lover! !